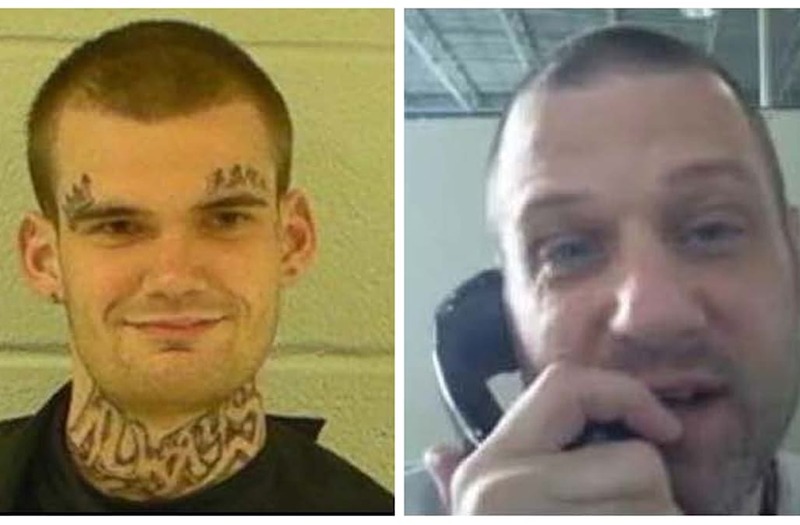 A hefty reward has been offered for information leading to arrests of the prison breaking duo who fled custody after two Georgia prison guards were overpowered then murdered on Tuesday. Putnam County Sheriff Howard Sills announced the reward has been upped to $115,000 as news broke that Donnie Russell Rowe, 43, and Ricky Dubose, 24, have stolen a second car in their bid to evade capture. As Georgia authorities fan out to bring the fugitives to justice, family members of one of the men are begging that he give up now before he gets himself killed. "I am begging you, baby, to please turn yourself in," Brenda Tarver, a relative of Dubose's by marriage, told WGCL. "We don't want anything bad to happen to you. I talked to your daddy last night (Tuesday), your daddy says to tell you to turn yourself in. Please, before this ends badly." Dubose's father also reached out to his son personally. "He needs to stop (running)," said Rocky Dubose told the Atlanta CBS affiliate from his home in Texas. "Ricky please stop man. Brother, they gonna kill you, if you don't give yourself up. I promise you." Federal, state and local authorities are working together to find the pair, who investigators believe may be driving a white pickup truck that was stolen from an industrial site in an area 25 miles from where they first fled custody. It was near there where Sheriff Sills said the men ransacked a house in Madison near where they dumped a green Honda they allegedly carjacked after first fleeing custody. 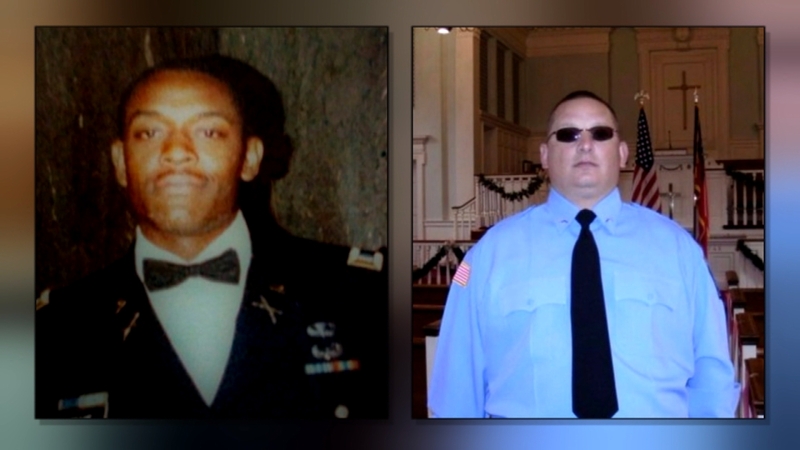 The intense search for Rowe and Dubose began after one of the men is believed to have fatally shot Christopher Monica and Curtis Billue, both officers at Baldwin State Prison, while being transported along with some 30 other inmates. Both subjects are now armed with the officers' .40 caliber Glock pistols and believed to be extremely dangerous. "They are dangerous beyond description," Sheriff Sills said at a press conference Tuesday. Both men are serving lengthy sentences for armed robbery and other crimes. Dubose has been in prison since July 2015 and is described as white, 6'1 and 140 pounds. Rowe has been in jail since June 2002 and is described as white, 6'1 and 181 pounds. Anyone who makes any type of contact with the vehicle or either subject is asked to please notify the Putnam County Sheriff's Office.